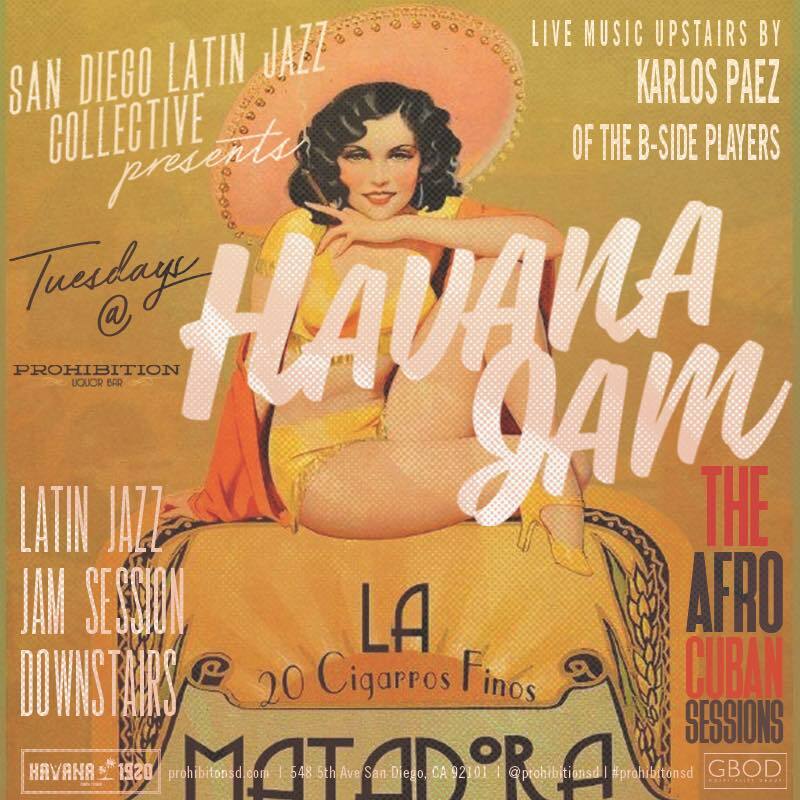 Prohibition is now open on Tuesdays and featuring live music from San Diego Latin Jazz Collective! 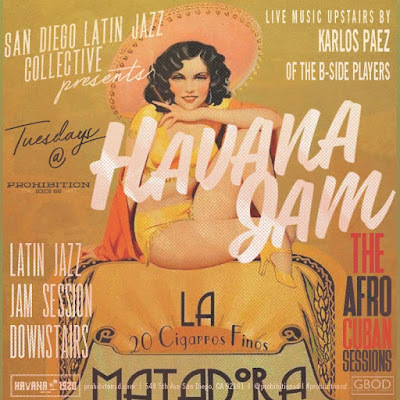 Every Tuesday night, enjoy a Latin Jazz/Afro Cuban Jam Session at San Diego's favorite speakeasy! But first, grab dinner at Havana 1920, and get Tuesday nights started! COST: Grab dinner at Havana 1920 then head on over to Prohibition Lounge.